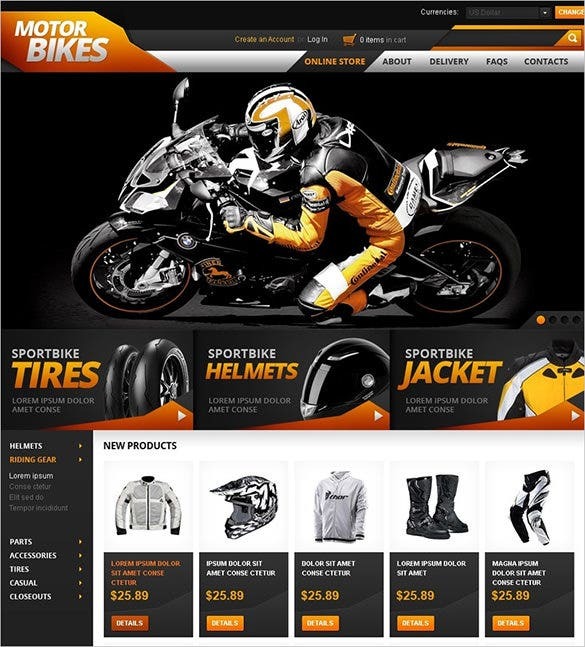 The all new templates from VirtueMart templates for bike shop will surely kick start your online bike store with a great boost. They include Carousel sliders for displaying large product images as well as fly out menus with ample links for easy navigation. These templates are easy to download and come with well-documented installation and operation guidelines.PSD, XML, CSS, HTML, PHP and JSS have been used to develop these templates.You may also check Auto Parts VirtueMart Themes. 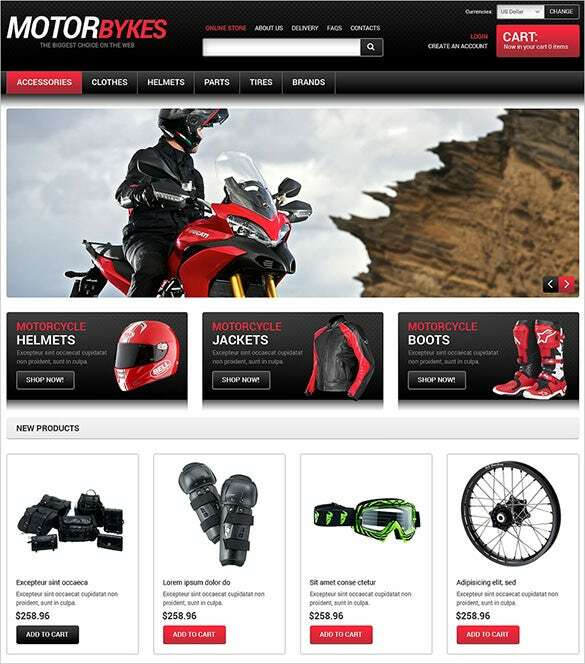 Try this Moto Bike Shop VirtueMart Theme to fine-tune your online store. It is well documented and has Sample Content, Favicon, Calendar, Custom Page Templates and Live Search and more. Want to reach out to your customers more? 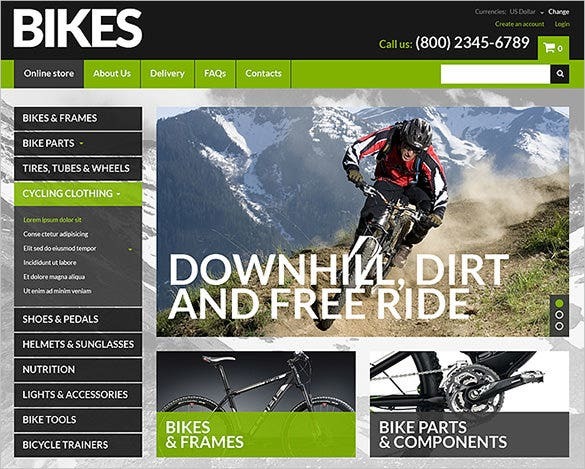 Try this Bike Store VirtueMart Template. It is loaded with features like web forms like User Registration, Contact Form and Search Form. 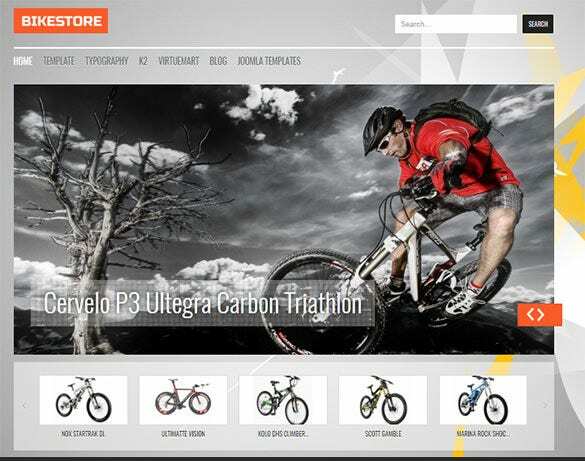 What makes this Fantastic Bikes Store Joomla VirtueMart Template a worthy-pick? Its added features. 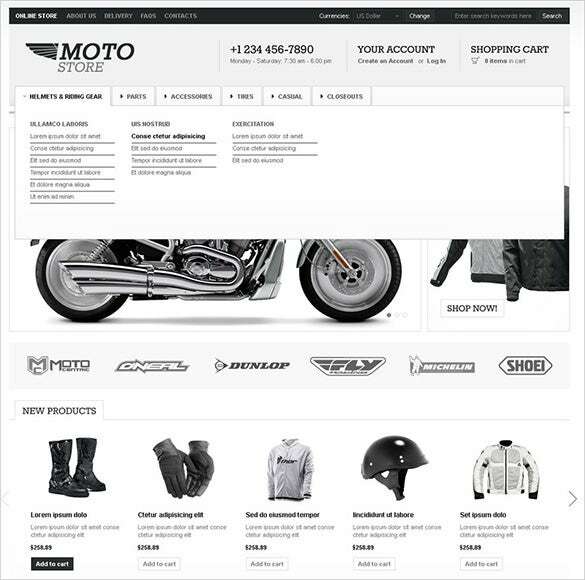 It has advanced commenting system, Live Search, Drop Down Cart and Cloud Zoom for better image display. 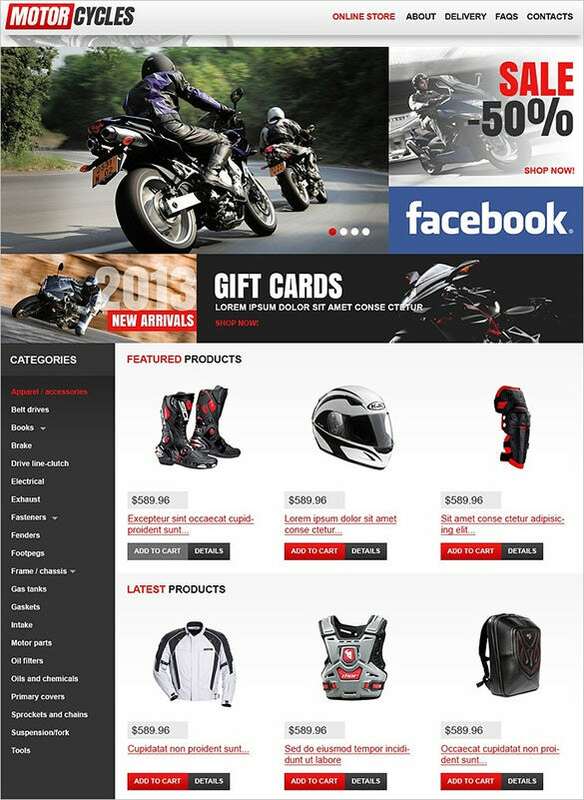 This Motor Bikes Shop VirtueMart Theme is exactly what your online store should be all about. Its bootstrap framework allows easy tweaks here and there and its responsive design makes it more interactive for the users. 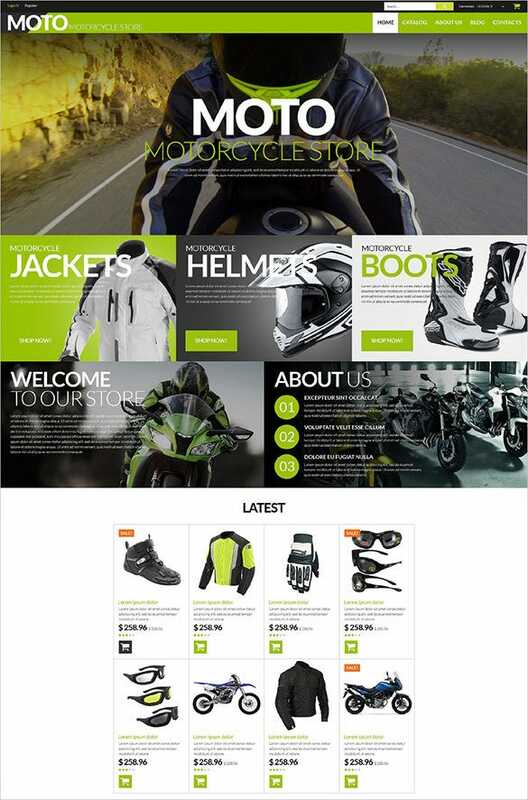 Try this clean looking, easy on the eye Simple Bikes Shop VirtueMart Theme. 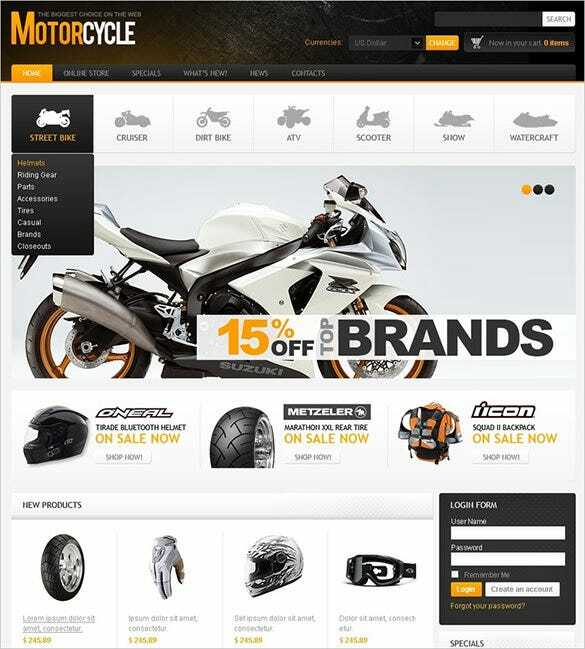 It is simple yet chic with features like multi-column layout, Ajax Search, VirtueMart Cart and Pop Login. 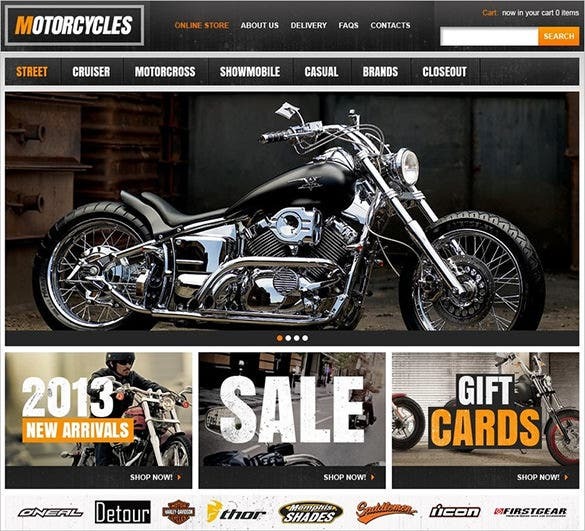 Try this Luxurios Bikes Shop VirtueMart Theme for that elegant look your site deserves. 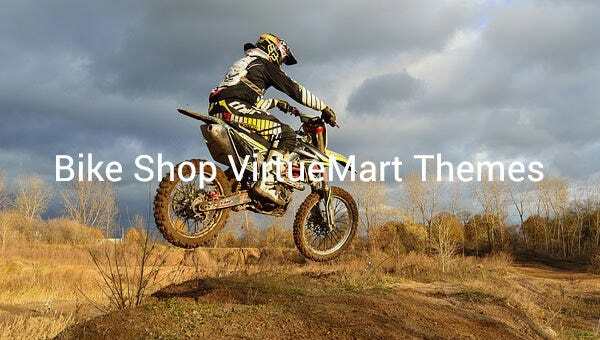 This VirtueMart theme is search engine friendly and has crossbrowser compatibility, Ajax shopping cart and multiple VirtueMart modules like Advanced Breadcrumbs. Coding used for this set of VirtueMart templates is JQuery, for manipulating elements to build each template with distinguishing features and effects. These premium templates with multi-column layout and an admin panel with abounding features.